SEO Jobs Finder - Find SEO jobs all over the world. An RSS feed or a “really simple syndication” is a media format that pushes frequently changed web content to subscribers. RSS feeds are mostly used to provide updated content such as blog post, news headlines, audio, or video. 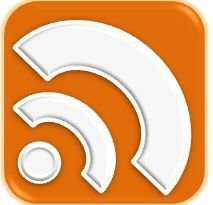 RSS channels are read using an RSS reader, software that can be web, desktop, or mobile based. RSS feeds allow web viewers to access content that has its presentation and formatting stripped away. In essence, an RSS feed removes useless clutter and leaves only relevant and easy to understand content. RSS feeds allow users to stay informed by receiving the latest news and website updates. In order to access RSS content, a user must first subscribe to a websites RSS feed. Most websites will have an RSS feed subscription button displayed prominently on their home page or blog. To subscribe, simply click on the RSS icon and select the RSS reader that you wish to use (If using Firefox you can also open the bookmarks menu and click “Subscribe to this page”). After subscribing to a feed, the reader will routinely check for new content. The RSS reader provides an interface where users can view the latest content from their favorite websites, all in one location. RSS feeds can be beneficial for both web publishers as well as web visitors. The following are some of the benefits for each. One of the benefits of an RSS feed is that it helps with SEO. The following are a few examples for how an RSS feed can be used to assist your Internet Marketing efforts. Stay in tune with the latest industry trends by subscribing to competitors and industry experts. Subscribe to Industry related blogs to inspire creativity and generate your own blog topics. Streamline your social media monitor by subscribing to your feeds. Subscribe to YouTube channels, identify YouTube influences and target your content to them. Subscribe to Linkedin Questions or Quora Answers and generate leads by leaving responses. When available subscribe to the comment feeds on blogs to identify influencers. Post your Twitter and YouTube RSS feeds on your company profile or about page. Add widgets to push your content from your blog or website to prominent and high traffic locations. RSS fees are a great resource for online publishing. They have made it extremely easy to not only publish regular updates for web-based content but also allow you to monitor large amounts of your favorite content automatically. RSS feeds modernize our online experience by aggregating all our subscribed content in one convenient location. In conclusion for the consumer RSS feeds allows them to view a large amount of content and save time, for the publisher it instantly distributes and publicizes content automatically, and for an advertiser it often performs better against the problems that traditional advertising faces such as high costs, spam filters, delayed distribution, and inbox clutter. This entry was posted on Thursday, September 29th, 2011 at 1:10 pm	and is filed under Blog Hints, Internet Marketing, Web Tips. You can follow any responses to this entry through the RSS 2.0 feed. You can leave a response, or trackback from your own site. Our SEO Company Serves Baltimore, Maryland, and Beyond.